My name is Nikki Mewbourne. My husband, Morris, and I purchased the Trussville location 3 years ago after moving to the area for the great school system. Our daughter, Kaitlyn, is about to be 9 and participates in the after school care progam and also the summer camp. 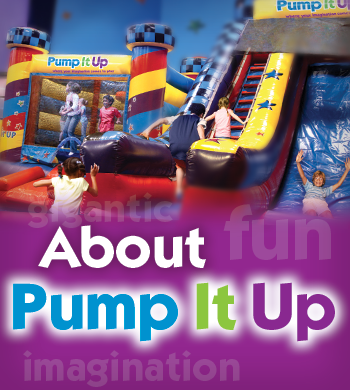 Our son, Nathan, is 5 and looks forward to going by Pump It Up so he can play with his big sister. If you stop by, you will know immediately which one he is...the one that looks like he owns the place. I had looked into several business ventures and franchise options. I really wanted something that my family could enjoy and grow with. Grow is what we have done, I now have 20+ highschool and college age kids as my staff, but also as part of our family. I am blessed with wonderful weekend managers and a staff that will give you their all. 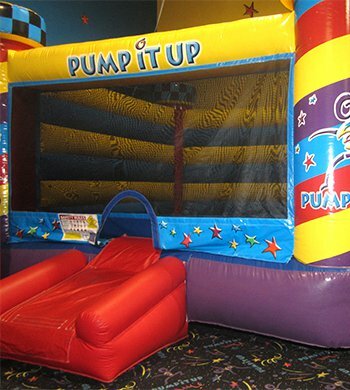 Come by and visit during our open play hours or book your next party with us and let us handle everything. You enjoy your child and your guests and we will do the rest. Hope to see you soon!